Bindo POS is an iPad-based Point of Sale system provider for retail and food-service merchants. 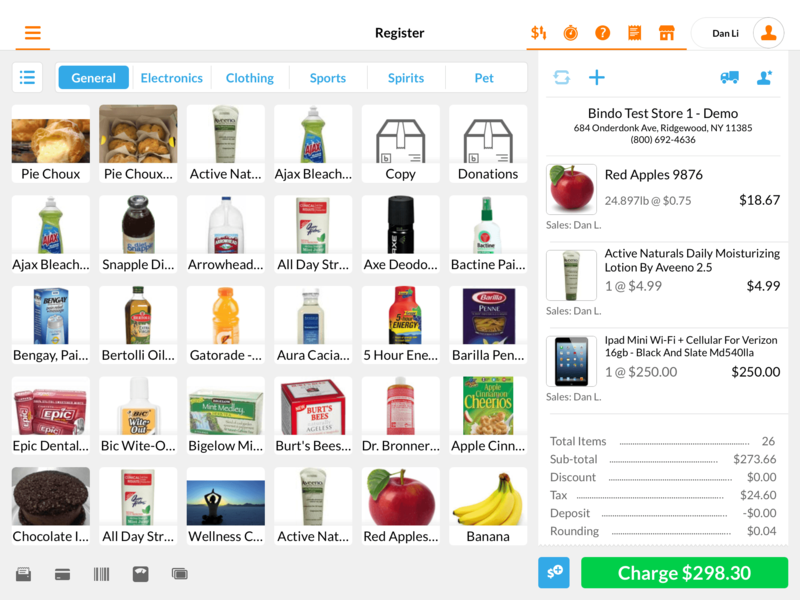 Storeowners manage their inventories for both online and brick-and-mortar establishments through Bindo POS. Cloud-based and best used with a Wi-Fi connection, Bindo POS does offer limited offline capabilities that can be used if there’s an Internet outage. Customers have access to inventory management and analytical reports, and can integrate their system with Shopify and WooCommerce. Customers can export inventory from their current setup into spreadsheet file and upload to Bindo POS account within seconds. By scanning a manufacturer’s barcode, Bindo POS will automatically retrieve a photo, title, and description of the product from its database. This feature keeps a close eye on stock, sales and shares real-time updates. Search features access the entire database, and the inventory can be edited whenever necessary. Bindo POS also offers multi-store management and classify inventory appropriately. Bindo provides analytical reports including sales summary reports, income statement analysis, and side-by-side comparisons of best and worst selling products. The merchant can also take any metric and compare it against past performance. The transaction breakdown report is especially useful, as it allows merchants to view details of a sale or filter the information that interests them the most. Not sure if Bindo POS is right for you? Use our Product Selection Tool to compare other Point of Sale solutions. Have questions? Call one of our unbiased Technology Advisors for a free consultation. Learn everything you need to know about Bindo POS. Our experts will reach out to you shortly.